What links autoimmunity, cancer, neuro-degeneration and autism? How does nature’s law of electromagnetism play a role in these diseases? How does the magnetic field destroy calcium and magnetism signaling in cells when they are deficient in energy? How do nature’s three fundamental laws (the photoelectric effect, water chemistry and the electromagnetic field) act upon every living creature on a planet where it evolved? The quote serves a great purpose today. Most people in alternative healthcare believe that the cause of autoimmunity is tied to something heinous in our food supply. I do not. In fact this recent article about gluten and celiac disease in the New York Times raises this point. So what causes celiac disease? That is the topic of today’s installment. Let us begin. When we have an altered field due to excessive EMF that blocks the normal ELF EMFs from the Earth’s magnetic field, we get non-thermal effects directly in our brain and across our brainstem. The work done by Robert O. Becker and Carl F. Blackman are critical in understanding how a field effect can cause an autoimmune disease. Today’s blog post is going to show you how that research, which is quite old, has been left on the shelf and ignored. What we believe causes Hashimoto’s, celiac disease and all autoimmune diseases may not be what we all think. Blackman discovered the greatest non-thermal effect of EMF during the early 1980s right after Becker’s work was presented to the NY State Power Service Commission work. Blackman found that non-thermal EMF exhibited both frequency and intensity windows on biologic cells. Blackman was a research scientist at the Environmental Carcinogenesis Division of the EPA. He also conducted work with Dr. Abraham R. Libroff of Florida Atlantic University. Blackman and Libroff combined a static (DC) and an alternating (AC) magnetic field on human cells. They found doing so caused an increase of the concentration of free calcium ions in nervous tissues in a very narrow resonance window of the AC magnetic field. The maximum calcium efflux from neurons corresponded to the cyclotron frequency of the calcium ions. This cyclotron ion resonance is very important to understand in space medicine when the solar magnetic field becomes altered for any reason. On March 8, 2013, NASA released an article according to which ion cyclotron waves were identified by their solar probe spacecraft called WIND as the main cause for the heating of the solar wind as it rises from the sun’s surface. Before this discovery, it was unclear why the solar wind particles would heat up, instead of cool down, when speeding away from the sun’s surface. The solar wind is believed to be what burned off Mars’ magnetic field and sterilized the planet of all life. The reason why this is important to you and your biology is that when calcium rises inside your cell membrane it is pumped out immediately because a rise intracellular calcium mediates apoptosis and autophagy and causes massive problems in intracellular signaling. Rising intracellular calcium goes by another name you might have heard; it is called excitotoxicity. Excitotoxicity is tied to heart disease, neuro-degeneration, atherosclerosis, sleep apnea, alterations of circadian cycles and autoimmune conditions. Calcium efflux occurs due to direct alteration of voltage gated channels when an altered electromagnetic field is present. The native EMF field of our planet is in the extreme low frequency range and when it is in this range, EMF waves act like waves and not particles. When the field is comprised of higher frequency waves from any source, like the sun, a Wifi router or a microwave, it begins to act more like a particle. See electromagnetic fields can act as waves or particles according to the natures laws defined in quantum electrodynamic theory. This is how the photoelectric effect works by nature’s laws. This one little detail has massive consequences for all of us. When the field changes from its normal wave characteristics to a higher energy, particle-based field, there are biologic consequences. What have been some found in experiments already done? We see a huge spike in depression, thyroid deficiency and the development of many immune system diseases. These diseases have been written about in many places in my blog, but I have yet to link things all together for you. Today we will do just that. The great pandemic of influenza in the early 20th century was tied to an alteration of the solar wind and the Earth’s magnetic field. It resulted in a serious outbreak of influenza world wide that killed close to 5% of the world’s population. The 1918 flu pandemic (January 1918 – December 1920) was an unusually deadly influenza pandemic, the first of the two pandemics involving H1N1 influenza virus. The second being the 2009 flu pandemic that you might remember. In 1918, the flu infected 500 million people across the world, including remote Pacific islands and the Arctic, and killed 50 to 100 million of them—3 to 5 percent of the world’s population at the time, making it one of the deadliest natural disasters in human history. The problem with the flu in 1918 was not the virulence of the virus, but it was in the response of the immune system of the humans at the time. At the time there were serious fluctuations of the Sun’s electromagnetic field that altered the Earth’s ionosphere via the solar wind. This alteration in the sun lead to calcium efflux in the pineal gland and the neuro-immune system of people most at risk. These things have recently been tied together by NASA scientist because they finally realized the quantized effects of electro magnetic fields on ion resonance. Ironically this was postulated many times before but “experts” could not link the effect to a known phenomena in the literature, so the observation went under explored. Today it is common knowledge in healthcare that people known to carry higher risks for viral infections are children and the elderly who have altered immune systems. The elderly systems do not work as well because they have senescent immune cells, but the young have an immature immune system because their T cell development is directly tied to how myelinated their brain’s are. Most influenza outbreaks disproportionately kill juvenile, elderly or already weakened patients; in contrast the 1918 pandemic killed predominantly previously healthy young adults. Modern research, using virus’ taken from the bodies of frozen victims, has concluded that the virus kills through a cytokine storm (overreaction of the body’s immune system). The strong immune reactions of young adults ravaged the body, whereas the weaker immune systems of children and middle-aged adults resulted in fewer deaths among those groups. These cytokine storms are mediated via NF kappa beta and IL-6 levels in the brain and body. You learned about them in my early leptin blogs. During the solar cycle 14 of 1918, there was a tremendous change in the Sun’s spots activity that dramatically altered the the Sun’s magnetic field, the solar wind, and the Earth’s magnetic field simultaneously. What was found when 1918 epidemiologic data was married with data NASA scientists found about the event later on, was that as the sun power decreased because less activity was seen those in the coolest climate sustained the lowest death rates from influenza. Those who lived in hotter climates died at much higher rate from the cytokine storm. This strongly pointed to a direct effect of the sun’s magnetic field in the pandemic. Physicists found the Earth had a weakened magnetic field in the solar maximum 14 as well. The pandemic of 1918 showed the direct alterations on human beings’ immune function worldwide. Why is this important for this blog? The exact same set of circumstance is now happening on the sun since 2009. In 2013, we should be at a solar maximum but the sun’s activity has been recently troubling NASA since March of 2013. Take a look at this link on sun-spots. This one too about the Sun’s magnetic field flipping. These ion cyclotron resonance effects were extensively investigated in Blackman’s lab but elsewhere in the 1980s up until today. All laboratories who have studied these effects found that calcium cyclotron frequency directly affects calmodulin regulation of the calcium ion concentration in solution and a host of biologic functions. These are all tied to marked alterations of voltage dependent calcium channels when the field strength is above 30 Hz. To date, 23 studies have been done and repeated this finding since 1980. Anything that affects calmodulin by definition affects magnesium ion concentrations as well in a cell. This is why an altered field is primordial to calcium and magnesium regulation. Taking more calcium or magnesium do nothing for the intracellular voltage channels. Using calcium channel blockers however can help. NON-GEEKS: Why is ion frequency important for you to understand? Ion cyclotron resonance is a phenomenon related to the movement of ions in a magnetic field. Moreover, it links the photoelectric effect to the magnetic field that ions are in. Whatever the frequency of the electromagnetic field strength is dictates how biochemistry reactions will be altered for the better or the worse. GEEKS: Einstein received his Nobel Prize for the photoelectric effect. Where E=hf. h is for Planck’s constant, f for frequency, E is for energy. The two factors affecting maximum kinetic energy of photoelectrons are the frequency of the incident radiation and the material on the surface. Here you can see why the field strength as measured in frequency matters in terms of the energy generated. Electron energy increases with frequency in a simple linear manner above the threshold. The slope of these energies is tied to Plank’s constant. Prior it was thought that all photons had the same energy but it was how many of them impacting surface and EMF fields that determined energetics. This is not true. Moreover, when an electron falls from a higher “orbit” to a lower one, it emits a photon of light. The frequency of the photon (spectral color) is determined by the difference in energy between electron orbital shells in the atomic structure. This is the basis of spectrometry and how we can tell what something is made of by the light EMF radiation it emits. NON-GEEKS: What did that just mean? It means the Sun and Earth’s magnetic field controls all calcium and magnesium homeostasis. If the field is altered, you trying to fix yourself becomes a frustrating battle. Readjusting your field risk is a way better plan for optimal success. This is foundational law of physics folks, not subject to a RCT or someone’s beliefs. What does an altered field do and what are these functions? TRUTH BOMB ALERTS: Number 4 is the big effect for the development of autoimmunity. Number 3 is why all neolithic diseases are exploding since we electrified the surface of the Earth in 1893. And number 5 is why Monsanto is allowed to do what they are currently doing to our food supply by governments. What does calmodulin do? Calmodulin is actually an abbreviation for CALcium-MODULated proteIN. Calmodulin is a calcium-binding messenger protein expressed in all eukaryotic cells. Calmodulin is a multifunctional intermediate messenger protein that transduces calcium signals by binding calcium ions and then modifying its interactions with various target proteins. Any time calcium is altered magnesium has to react to it. That is a biologic effect. This is why people with neolithic diseases all have altered magnesium physiology as a very early clinical finding. This is why I told way back in the Gnoll’s post that magnesium alterations were some of the earliest effects one sees in metabolic syndrome. Just replacing magnesium will not help if the field is not accounted for as well. Calmodulin mediates many crucial processes such as inflammation, metabolism, apoptosis, smooth muscle contraction, intracellular movement, short-term and long-term memory, and the immune response. Calmodulin is expressed in many cell types and can have different sub-cellular locations, including the cytoplasm, within organelles, or associated with the plasma or organelle membranes. Many of the proteins that calmodulin binds are unable to bind calcium themselves, and use calmodulin as a calcium sensor and signal transducer. Calmodulin can also make use of the calcium stores in the endoplasmic reticulum, and the sarcoplasmic reticulum. It is critical in all muscle functions. Calmodulin can undergo post-translational modifications, such as phosphorylation, acetylation, methylation and proteolytic cleavage, each of which has potential to modulate its actions in different organ targets. There is no organ immune to an altered calcium physiology. Calcium participates in an intracellular signaling system by acting as a diffusible second messenger to the initial stimuli. It is critical in proper circadian cycle biology signaling. Blackman also established in his research that ion cyclotron resonance was extended to other ions such as potassium in the rate of cellular proliferations, and on magnesium and lithium’s direct effects on all animal behaviors. When the magnetic field changes, biochemistry is changed, because it results in increases molecular crowding within cells. Molecular crowding is another synonym for inflammation or cellular chaos. Dehydration is also another synonym for this physiologic result. Are you connecting any dots from other blogs now? Any time molecular crowding occurs it is associated with inflammation, dehydration, elevated cytokines, Nf kappa beta spikes, and IL-6 spikes which all lead to leptin resistance or a lack of energy balance. The real shocker came after these aforementioned studies when Dr. Mikhail Zhadin’s research team at the Institute of Cell Biophysics of the Russian Academy of Sciences published his initial work in 1998. This attracted serious attention to cyclotron ion alterations in a magnetic field. He specifically showed that ion cyclotron resonance could be demonstrated for simple amino acids just dissolved in water. His work was published first in 1998 and then expanded upon again in 2006. This effect will probably get its own blog because it is extremely important part of the reason why neolithic diseases have exploded in 113 years. PHYSICS GEEKS: When I read Dr Zhadin’s work in 2006, the effect of apparent ion cyclotron resonance could not be explained in terms of classic physics. Neither could the findings of Becker’s work on bone semiconduction in biology. Both lines of inquiry involved using energies from an AC magnetic fields. When you begin to talk energy and AC magnetic field you are talking the language of QED not classic physics. Moreover, I realized these energies were 11 orders of magnitude smaller than the thermal threshold of thermal noise. I was shocked that something this small could have a massive impact on biology. So what does ion cyclotron resonance measure? This math uses the calculated radius of the circular path taken by the ion at resonant frequency is measured in meters, which is much larger than the experimental cells in which the initial observations were made. In order to explain these phenomena, QED theory had to be used. This is when I dove head deep into the work of Richard Feynman. Feynman took Einstein’s photoelectric effect and developed Quantum Electrodynamic theory. From this math comes all the known electrical, mechanical and chemical laws of nature; the laws explain everything ordinary phenomena in life outside of gravitation or atomic nuclear processes in nature. The electromagnetic field can carry waves and particles. In this EMF field, the waves can act very unusual. When the electromagnetic frequency of these waves increases, the EMF field stops acting like waves and begins to behave much more like particles. QED experiments have shown waves and particles behave the same way. Therefore quantum mechanics unifies the idea that a field has waves and particles that all interact as one. It also says when the frequency of the EMF field is low, the field aspect of the phenomena become more evident. This is why radio and TV waves can be perceived by humans and why most humans can’t see X-rays. As the frequency of the field increase and power goes up, we lose the ability to discern the EMF field. We need to use equipment to measure the effect. 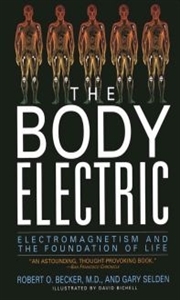 Physics mentions many frequencies of EMF’s, but up until recently, no phenomena directly linking the frequency to a biologic effect was known, until Becker and Frolich came along. Physics had already proven that the EMF frequencies above 10 to the −12 cycles existed, they just had no idea how they interacted with life. Frolich proposed how biologic systems used the photoelectric effect coherently inside a living cell. Thus we had to have a new view of how electromagnetism might affect life. Above this frequency the EMF waves become more like particles and we call this a photon. The new view of the interactions of electrons and photons is called electromagnetic theory. Within it, to date, everything has been to be found quantum and mechanically correct. Cyclotron Ion frequency is of these proven experimental phenomena. Let us examine what cyclotron ion frequency says for biology. MORE GEEKINESS: This was done using the research of Giuliano Preparta and Del Guice. What did their research say about this? QED predicts that liquids are not governed by purely static local electromagnetic field effects such as hydrogen bonds within magnetic dipoles, like water. QED predicts quite the contrary, that hydrogen bonding is induced and can be altered by radiated long range electomagnetic fields. TRUTH BOMB: This implies that hydrogen bonding found in life on Earth is directly impacted by the Earth and Sun’s magnetic field through hydrogen bonding network in intracellular water. This is why water is the third part of life’s equation with the photoelectric effect and the magnetic field. You might be asking yourself why is this all important to the development of autoimmunity by now? It is central to its development and progression of all autoimmune conditions. Most people in the alternative healthcare field believe that autoimmunity is some how tied to the leaky gut, altered BBB, or leakiness on the inner mitochondrial membrane, or via the use of dietary grains and/or modern dairy products. The problem is most have no idea how they really connect back to the electromagnetic field effects mentioned above according to nature’s laws. This is because they do not read biophysics research. Much of what Alessio Fasano MD, PhD is finding at the University or Maryland on celiac disease is already well established elsewhere in other disciplines of research. But “why” the disease may really happens will shock most of the people out there. TRUTH BOMB: Autoimmunity is directly tied to an alteration of the electromagnetic field that our cells live in. The field has radically changed since 1893 when the surface of the planet was changed by electrification. The electric field in our house uses 60 Hz systems. This has been shown by Becker and by Wertheimer to be enough change to cause a big change to DNA. As the luxury of electricity grew, it fueled the growth of the industrial revolution and the development of modern technology over the last century. This is precisely when all neolithic disease began to show up, and they have exploded as the frequencies of EMF fields have increased. This one change has lead to massive increases in man-made EMF that now is present in the resonant cavity of the Earth. This is the space between the surface of the planet and the ionosphere. In life we have the example of how an alteration in the Sun magnetic field were behind the severity of 1918 pandemic of influenza. We also saw how the Sun’s photoelectric was used to generate massive production of the virus’s in the ocean in Brain Gut 2. Moreover, Becker’s work in the 1950s and 1960s showed that any time an EMF field was introduced to the brain stem of any animal he tested, it resulted in a “stress response” from the animal. Today we call this stress response leptin resistance or adrenal fatigue at the brainstem level. What causes this? Loss of control of the calcium voltage channels in neurons is the short answer. The altered field increases the frequency of the resonant EMF around the Earth and instead of it acting like a wave form as the Schumann does, it begins to act like a particle and opens the calcium voltage gated channels in neurons in the CNS and PNS. This is the real cause of most of the neolithic diseases we see today. Because EMF energies are absorbed into to tissues in differential rates, we see a large spectrum of effects, and we do not see the same disease. What underpins everyone of them, however, is the spike of cytokines in the effected tissue. The data is clear that the photoelectric effect and the magnetic field has massive effects on biology. Twenty-three studies have shown it over 50 years. Becker was the first one to find this effect in salamanders in the 1950s. This information is published in the QED literature and not in biology. The only place it is in biology is in Becker’s work on bone physiology. This is how I originally found it. How it happens precisely is what has confused biologist and chemists, but not the biophysicists. The problem is that these disciplines do not read each others work. Becker found the biologic effects were due to an altered DC current coming from Schwann cells that myelinate the neurons of the peripheral nervous system. This work is cataloged in his books, The Body Electric and Cross Currents. You need to read them if you have cancer, neuro-degeneration, autism or autoimmunity. It turns out it has the same effect on the microglia cells and the oligodendroglial cells that myelinate the central nervous system as well. This implies that an alteration of myelination is directly tied to an altered immune system. This is precisely what we saw in the energy and epigenetics 1 blog at the beginning of this series. Humans are born without much myelin and this is why they have no innate or cell mediated immunity. They have to rely on their mother to gain their immunity from her breast milk. When there is a lack of myelination, we have a decreased regenerative current for many systems in the body. The mechanism is ultimately tied to calcium efflux out of these cells. When the net electromagnetic effect on the brain and the endogenous immune system is highly powered and acting more like a particle it directly diminishes the DC current coming from brain and nervous system’s myelin sheaths. 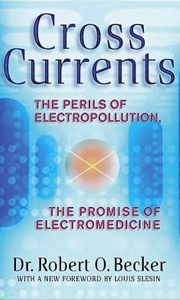 These DC currents have been shown in all mammals to allows us to be able to use our bodies natural systems to both heal and regenerate physiologic systems. Becker’s work on the DC electric current of regeneration on salamander’s and human bone got him nominated twice for a Noble Prize. It seems these works have never been connected together to understand how a loss of the DC current is directly tied to the EMF field these cells are in. This is precisely how one develops autoimmunity in today’s world. It is a field effect not a dietary effect. The more altered the field becomes, the less it acts like a wave and the more it acts like a particle and it alters calcium voltage gates in cells. These are primordial in all cell signaling processes in biology. Every biologist or chemist knows this to be factual today. What none of them know is how the field controls the signaling system. Most people know that autoimmunity is more common in women than men but modern medicine does not yet seem to know why. I think I do, because of Becker’s work. Women have less myelin than men naturally by evolutionary design in their brains. This is why women suffer from autoimmunity much more often than men do. Having less myelin makes you more sensitive to environmental triggers in order to pass this information onto the next generation. This is the basis of trans-generational epigenetics. This means when they lose any significant degree of myelin for any reason and they lose their DC current, they are more apt to get an autoimmune disease because they can not mount proper signaling in their thymus to properly develop their T Helper cells. This is how epigenetics can go really wrong when the field is altered from its normal ELF EMF to a man made one. What Does This Research Imply? When you lose your DC regenerative current in Schwann cells and the brain’s microglia and oligodendroglia for any reason at all, you can not regenerate the normal arms of neuro immunity or of cellular immunity from your thymus gland where the T Helper cells go to mature; This means you can’t activate T-Helper-3 cells so T-Helper-17 cells begin to dominate. When it TH3 dominates long enough, what happens? Calcium leaves the pineal gland and circadian biology is altered, thus, we lose the yoking of the Vitamin A and D cycle in the brain, and the result is a spike in NF kappa beta and IL- 6 in the brain and peripheral tissues. These are the main inflammatory cytokines in the brain. These are the same effects seen experimentally in Blackman’s work mentioned earlier in the blog. The result is that antibodies are made from constantly activated B cells because the T cells can not turn them off and the subsequently “tag” the different tissues in which this altered field occurs in. When this happens in the thymus at a certain time of embryologic development, the result can be Hashimoto’s disease or celiac disease. If it occurs at after the 8 embroylogic week of human development, it will affect the developing hind brain and dentate nucleus in the cerebellum. This affects the posterior hind brain the result can be autism and its spectrum. Guess what the most common finding is in autistic brains on functional MRI? The answer is: Altered cerebellar development. What Happens to the Neuro-Immune System in the Brain Microglia and Oligodendroglia in an Altered Field? Once the calcium is lost from these cells it changes the resting membrane potential of cells. The resting membrane potentials of cell membranes of the microglia and supporting cells of neurons are altered immediately. It is in these cells where the brain’s hormone cascade is made from LDL cholesterol. This causes us not to make or secrete neuro-hormones on time or at optimal levels because of the calcium efflux. We get a chronic pregnenolone steal syndrome if we look at an ASI or salivary melatonin level. When calcium is released from cells we see a dramatic change in free T3 levels and vitamin A. Remember from the hormone 101 and 102 blog posts that pregnenolone steal syndrome that occurs when free T3 and vitamin A cycles are disrupted in the brain. When any stress response occurs in the brain, the response is to raise LDL cholesterol, but we need to convert it to pregnenolone to make all hormones. We need T3 and vitamin A to do it. When these physiologic alterations occur the result is a cytokine storm from an the massive release of NFkappa beta and IL-6 from our cells. When these chemicals are present you can not make this conversion, nor can you activate T-helper-17 cells (supressor cells to stop the process) or T-helper- 3 cells because they are in arrested development in the thymus. Why? Because your electromagnetic field has been altered across your brainstem! The field is what causes these cells to mature and become expressed after they visit the thymus. CIRCADIAN GEEKS: The entire outflow of the cerebral cortex must pass through the brain stem as it heads toward the spinal cord. At the bottom of the brainstem is the ponto-medullary reticular formation (PMRF) where the parasympathetic outflow of the brain is located. This allows us to calm down and digest our food naturally. Neither one works well in autoimmunity. This area is directly connected to the hindbrain in humans. The vagus nerve that connects this part of the brainstem to the gut as the major player to signal our body to rest and our gut to digest properly. This is why the SCN is entrained to light cycles alone but the gut organs which are entrained to feeding behaviors only. They communicate to the hypothalamus via the incretin system and bring their information to a different part of the hypothalamus. This may begin to explain why the Leptin Rx is built the way it is. When you eat is more important than what you eat in autoimmunity. In the upper brainstem is where the sympathetic outflow is located in a place called the midbrain reticular formation (MRF). The MRF connects to the PVN to give us the sympathetic outflow to the adrenal glands you learned about here. This is the site of where adrenal fatigue really happens. When the PMRF is activated it automatically down regulates the PVN. THE MRF and PVN are where the stress response of cortisol, Nor Epinephrine, and epinephrine are felt body wide via the IMLCC of the thoracic spinal cord which connects to the peripheral nerves to access the the rest of the body. Alterations of the IMLCC is why GERD occurs as the neurons in the esophageal plexus have their voltage gaited channels altered. This plexus controls the GE sphincter to acid backwash in the lower esophagus. Moreover, free T3 conversion is also blocked competitively by inflammation via the action of reverse T3 from NF kappa beta and IL 6 both in the liver and in the brain. This guarantees that there is an imbalance of sympathetic outflow to cause the stress. This stress response is what Dr. Becker, Wertheimer, and Dr. Savitz found in their research in 1976-79 that I discussed in detail in the July 2013 webinar. The cites are all below. This stress response always blocks the T helper cells in the gut, thyroid and in the brain from activating properly. So what might be the real cause of autoimmunity? Now it should be quite simple for you to see. When we lose the DC regenerative current in Schwann cells and in the microglia and the process fast forwards. T helper 17 cells begin to allow B cells to make more antibodies that tag the tissues this problem occurs in due to the altered field and then the other arms of the immune system innate and cell mediated immunity begin to be recruited to act to destroy the tagged tissues. Then you have a full blown AI disease in that organ system. None of it can happen without an altered electromagnetic field. This is requirement for an AI to occur. This is precisely why no one has a clue what really causes autoimmune diseases. Researchers in biology are not looking at EMF field effects. Biophysicist have found these effects 50 years ago. I mentioned a lot of them in this blog post already. The cellular mechanism is linked directly to an calcium homeostasis which alters cellular signaling in many ways. Many want to blame a food substance, but it is 100% tied to an altered field effect. Biophysics and the laws of nature show you how it happens. Foods exacerbate the condition but they do not cause it. This is also why autoimmune diseases were unheard of in the medical literature before 1893. We had not yet electrified the planet’s surface to alter the field yet. The 1918 pandemic and the 2009 bird flu out break are classic examples of what can happen when the sun’s electromagnetic activity directly affects the magnetic field on Earth. It directly alters life’s ability on Earth to mount a proper immune response. This is why not having the native electro magnetic field is bad for biology. Remember, Mars is a dead red dessert because it has no magnetic field, but does have frozen water at its poles and light from the sun. The solar winds stripped Mars of its atmosphere and this allowed an extreme alteration in the magnetic field of Mars. We know from NASA that the soar winds radiation would have dehydrated the atmosphere. But what we are finding out today is that lightening from electrical storms in the atmosphere acts as a small battery to constantly charge the surface of any planet with current to keep a molten core moving to generate its own magnetic field. This is why lightening is tied to the Schumann resonance. The Earth magnetic field resonates at 7.83 Hertz. This ionic resonance is what dictates how cations like calcium and magnesium work in circadian biology and in our neurons. When the EMF field becomes altered for any reason at all we lose ionic control of these cations, we dehydrate, and we spill out calcium from our cells. When cells lose calcium they can not signal properly. This can lead to autoimmunity, childhood cancers, and altered embryology, and genetic defects. Another effect is loss of control of the signaling in our immune system does not protect us they way in which it is designed because of the alterations in calcium and calmodulin’s control. Likewise, a planet must have an atmosphere to generate lightening to keep hitting the surface of the planet constantly to generate the electrical charge and magnetic fields needed to keep the core of the planet molten and moving to make its own magnetic field. Paleo et al currently believe the cause of autoimmunity is grains, wheat and dairy are behind the epidemiology of hashimoto’s and celiac disease. I don’t so that makes me different and a target. What does the epidemiology of these diseases say? The epidemiologic data does not support this belief either. Dr. Feynman famously once said, if your experiements do not match your science, then your science is dead wrong. I think Paleo science is not quite right. There is no way this can be a diet-only phenomena. It is believed so rampantly in this community, that it is now assumed by alternative practitioners to be axiomatically true. This is precisely why healthcare and paleo reseachers like Fasano still have not found the real cause. Cutting grains and wheat makes things a lot better because it lowers inflammation in the neuroimmune system but it does not reverse the disease fully. Understanding how to remyelinate a sick brain in an altered field, however, is precisely where one should focus their efforts in my view. I showed you in Energy and Epigenetics 1 how a human baby solves that problem. So let us examine these set of observations more closely. Celiac is an autoimmune disease that is tied to two main cellular pathways that do not communicate well when they are altered in the thymus where they develop and become mature. TH 3 helper cells and TH17 helper cells develop from these systems. TH3 helper cells are related to CD4 cells. TH17 cells are related to CD8 cells. These are the cells that regulate the autoimmune response of all autoimmune diseases. What do they both respond too? The vitamin A cycle in the brain and the Vitamin D cycle in the skin. What sets those two cycles in nature? The photoelectric effect from the sun. Einstein won the Noble Prize for the photoelectric effect. This effect is called a natural law of the universe. It means it is not subject to any randomized control trials. It alone stands by itself. Interestingly enough, the laws of electromagnetism are also nature’s laws. Few people understand how nature’s laws interact with DNA. Even fewer people know that this too has been studied and proven. Water hydrogen bonding network is controlled by the EMF field it is found in. 71% of our cellular weight is made from water for a reason. The micropulsations of the Earth magnetic field creates a resonant cavity on Earth. In this cavity it contains a low frequency ELF EMF called the Schumann resonance. Water electrifies DNA and RNA in this resonant cavity. It was a controversial point for many years until Christophe Yamahata at Tokyo University and Kawaga University convincingly demonstrated the ability of DNA to transport an electrical charge. It 100% depends upon the water inside a cell. Around the molecular structure of DNA, magic happens with water … numerous studies on DNA hydration have shown that the bases and phosphate groups have significantly organized hydration shells. The shells are larger around phosphate groups but water becomes highly structure around the bases by alterations in the hydrogen bonding network. Dry DNA is diamagnetic and wet DNA is paramagnetic. Why? Dry DNA has no unbound electrons. Want to know what I found most interesting? Paramagnetic material on Earth is magnetized in the direction of the magnetic field it finds itself in and the strength is directly proportional to the magnetic field strength!!! 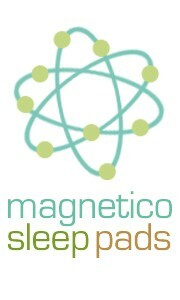 This is why a Magnetico sleep pad might be a great idea when you are ill with an autoimmune condition, neuro degeneration, cancer, or autism. Wearing amber glasses will also help a lot. I did a huge 7 part EMF boot camp for the members on my site for members on how to mitigate your environment from excessive man made EMF’s. I just gave you a massive insight for what is coming in this series and why the man made EMF is extremely dangerous to DNA. It explains why Becker, Wertheimer, Marino, and Savitz all found child hood cancers in multiple generations of animals whose parents germ cells were expose to magnetic fields above the native Schumann frequency. When life’s field acts more like a particle EMF than a wave EMF, humans get sick. It is really that simple folks. Today the levels of this EMF frequency has increased 2 million times since the studies mentioned and cited in this blog were completed in 1979. This was also done and proven in animal and human cells long ago but no one seems to know it because they do not read biophysics work. Some of us do, who like evolutionary details. What did I just say in English? DNA has been shown experimentally to be controlled by a magnetic field. Genetic expression is directly tied to the electromagnetic field that life lives in. To deny it is to deny experiments already proving it is true. When your body releases endogenous opiates from the vitamin A or D cycle pathways, TH3 helpers are activated to stop autoimmune disease. TH3 cells are loaded with opioid receptors. When you live outside your biology for any reason at all and ruin the vitamin A or D cycle, you create a circadian mismatch. This causes the TH 17 cells to explode their activity. What do they do? They make NF kappa beta and IL 6. You know the things that cause leptin resistance. Any stressor in our biologic field causes this response. Stress here is not a mental cause. What happens in the brain? It diminishes the DC current in Schwann cells and microglia. You know this is something Robert O. Becker established 50 years ago that few people in paleo seem to know. He discovered how bone uses the photoelectric effect to offset osteoporosis. This is done using voltage gated calcium channels. He was an orthopedic surgeon. He also firmly established why acupuncture actually works and did the first NIH study ever on how it really works. He also found that the DC current in Schwann cells is responsible for regenerating whole body parts in salamanders and found that it is how humans convert the photoelectric effect from the sun to a mechanical and piezoelectric signal in bone to avoid osteoporosis. He was nominated twice for a Nobel Prize. Today, autoimmune diseases affect more people than any other diseases on our planet. The reason? Our field has been dramatically altered, and the photoelectric effect and water chemistry is tied to the field it is in. We are all products of our environment. Our genes are the first draft of what we are created to be, but the experience those genes face (epigenetics) is how the novel of our life is really written. I call that experience “the field” or “the cellular terroir.” Today’s thread here is an introduction to levee one of my Quilt. Most people who follow my blog often remark that levee one is linked to leptin. That is what they often think. I tell them this is not true. Go look for yourself sometime at my quilt document. We must stop focusing in on disease states and instead think about what happens to the cell’s environment that dictates its fate. The cellular terroir are what cause the disease states. Let me restate this to make it clearer. The field dictates all epigenetic expression, and it extends to trans-generational epigenetics. My theory of aging, disease propagation and the development of auto immunity is that the environment the cell finds itself in is directly proportional to outcomes the cell may face. This means that your identical twin only need to live in another room in your house to face a different existence that you to get a massive change. Genes are important but they are not the dominant player modern science believes and neither is the diet you advocate. Tough to hear, but it is based upon Einstein, Feynman and Becker’s work. I am just putting it together using Nature’s laws, not paleo laws or conventional wisdom dogma. What we are taught to believe is our problem, and what health care is saying, what Fasano is reporting and what paleo believes … well, let us just say the jury is still out because no one is applying the laws of nature to the puzzle; they still have no clue about the major factors that control DNA expression. That is what determines health and wellness. Diet plays a role, but the role is not as dominant as many believe. Whatever activates and electrifies DNA is the major determining factor in genetic expression. Welcome to a new reality. Bischof, Marco (1994). “The History of Bioelectromagnetism: The Instrument Era”. In Ho, Mae-Wan; Popp, Fritz-Albert; Warnke, Ulrich. Bioelectrodynamics and Biocommunication. Singapore: World Scientific Publishing Co. p. 21. Miller, Stephen (June 11, 2008). “Robert Becker, 84, Raised Concerns Over Power Lines”. The New York Sun (New York). Peltier, Leonard F. (1999) . “The Treatment of Ununited Fractures”. Fractures: A History and Iconography of Their Treatment. San Francisco: Norman Publishing. p. 205. Burgess, Adam (2004). “Radiating Uncertainty”. Cellular Phones, Public Fears, and a Culture of Precaution. Cambridge: Cambridge University Press. p. 146. Mollon B, da Silva V, Busse JW, Einhorn TA, Bhandari M (November 2008). “Electrical stimulation for long-bone fracture-healing: a meta-analysis of randomized controlled trials”. J Bone Joint Surg Am 90 (11): 2322–30. Tell, R.A., and Mantiply, E.D. 1978. Population exposure to VHF and UHF broadcast radiation in the United States, ORP/EAD 78-5. Las Vegas, Nevada: U.S. Environmental Protection Agency. Marino, A.A., and Becker, R.O.1978. High voltage lines: hazard at a distance. Environment 20:6.
magnetic fields and suicide. Health Physics 41:267. Tell, R., Mantiply, E., Durney, C., and Massoudi, H. 1979. Electric and magnetic field intensities and associated body currents in man in dose proximity to a 50 kw AM standard broadcast station. Presented at Bioelectromagnetics Symposium, Seattle, Washington. Janes, D.E. 1980. Population exposure to radio wave environments in the United States, Proceedings, Institute of Environmental Science, Washington, D.C.
communications equipment and near a hand-held walkie talkie, ORP/EAD 79-2. Las Vegas, Nevada: U.S. Environmental Protection Agency. Zhurakovskaya, N.A. 1976. Effect of low-intensity high-frequency electromagnetic energy on the cardiovascular system. JPRS L/5615, p. 13. Reichmanis, M., Perry, F.S., Marino, A.A., and Becker, R.0. 1979. Relation between suicide and the electromagnetic fields of overhead power lines. Physiol. Knave, B., Gamberale, F., Bergstrom, S., Birke, E., Iregren, A., Kolmodin Hedman, B., and Wennberg, A. 1979. Long-term exposure to electric fields. A cross-sectional epidemiologic investigation of occupationally exposed workers in high-voltage substations. Electra, 65, 41.
generated silver ions. J. Bone and Joint Surg. 60-A: 871. Marino, A.A., and Becker, R.0. 1977. Electrical osteogenesis: an analysis. Clin. Orthop. 123:280. Veith, I. 1962. Acupuncture therapy-past and present. JAMA 180:478. Bonica, J.J. 1974. Therapeutic acupuncture in the People’s Republic of China. JAMA 278:1544. Mann, F. 1975. Acupuncture: the ancient Chinese art of healing. New York: Vintage Books. Reichmanis, M., and Becker, R.0. 1977. Relief of experimentally-induced pain by stimulation of acupuncture points: a review. Comp. Med. East West 5:281. Reichmanis, M., Becker, R.0. 1978. Physiological effects of stimulation at acupuncture points: a review. Comp. Med. East West 6:67. Dornette, W.H.L. 1975. The anatomy of acupuncture. Bull. N.Y. Acad. Med. 51:895. 21. Bull, G.M. 1973. Acupuncture anesthesia. Lancet 2:417. Reichmanis, M., Marino, A.A., and Becker, R.0. 1975. Electrical correlates of acupuncture points. IEEE Trans. Biomed. Eng. BME-22:533. Becker, R.0., Reichmanis, M., Marino, A.A., Spadara, J.A. 1976. Electrophysiological correlates of acupuncture points and meridians. Psychoenergetic Systems 1:105. Reichmanis, M., Marino, A.A., and Becker, R.0. 1977. Laplace plane analysis of transient impedance between acupuncture points Li-4 and Li-12. IEEE Trans. Reichmanis, M., Marino, A.A., and Becker, R.O. 1977. Laplace plane analysis of impedance between acupuncture points H-3 and H-4. Comp. Med. East West 5:289. Reichmanis, M., Marino, A.A., and Becker, R.O. 1979. Laplace plant analysis of impedance on the H meridian. Am. J. Clin. Med. 7:188. Harrington LE, Hatton RD, Mangan PR et al. (November 2005). “Interleukin 17-producing CD4+ effector T cells develop via a lineage distinct from the T helper type 1 and 2 lineages”. Nature Immunology 6 (11): 1123–1132. Stockinger B, Veldhoen M (June 2007). “Differentiation and function of Th17 T cells”. Current Opinion in Immunology 19 (3): 281–286. Steinman L (February 2007). “A brief history of T(H)17, the first major revision in the T(H)1/T(H)2 hypothesis of T cell-mediated tissue damage”. Nat. Med. 13 (2): 139–145. Wu S, Rhee KJ, Albesiano E et al. (September 2009). “A human colonic commensal promotes colon tumorigenesis via activation of T helper type 17 T cell responses”. Nature Medicine 15 (9): 1016–1022. Martin-Orozco N, Muranski P, Chung Y et al. (November 2009). “T helper 17 cells promote cytotoxic T cell activation in tumor immunity”. Immunity 31 (5): 787–798.